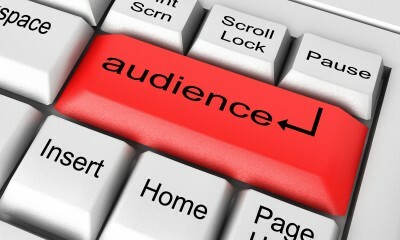 How Does Your Audience Find You? Most people probably don’t type your URL into the search bar and go directly to your website. Instead, they likely got to your website by typing in a specific set of keywords. Those keywords represent the thing they hoped your site would provide. For example, if you’re in the home security business, people may search for “tips for buying a home security system.” If you don’t have any articles or blog posts about that topic, those people will probably bounce right off of your site. Access your web analytics to determine what keywords people are using to find your site. Then, create content around some of those keywords, especially if your content for that keyword is sparse or nonexistent. How Do People Find Your Competitors? You can also use your competitors’ keywords to come up with topics. Just go to a site like Alexa and type in a competitor website. Click on the site and scroll down to the section that says “Top Search Queries.” You’ll see a list of the top keywords that people use to find your competitor’s site. Match those keywords up with some content ideas. Then, you can provide your audience with the content they want. You might even take some traffic from your competitors. What Topics are Floating around Forums and Social Networks? You also need to keep your eyes open so you can find comments and questions that people pose online. Go to your forums and social networks to find out what your market is asking. Are they interested in something specific or do they have a question? Find out what they want to know, and then write about it. Once you write it, you can post it on your blog and also deliver it directly to those who asked for it. That will help you drive some traffic over to your site from outside sources. Timely, relevant topics are always in high demand, regardless of the market. With that in mind, set up Google Alerts and use Google trends to find out what is hot. Then, write an article based on the information. Just make sure you publish it quickly. If you end up on the tail end of a trend, you won’t get a lot of attention. If you continue to do this over and over again, people will begin to see your site as the go-to place for relevant information. That will help you gain some loyal visitors. What Do Your Customer Service Representatives Think? Always ask your customer service representatives what they think you should write about, and then use that information to create great topics. They are dealing with your customers on a daily basis, so they know what their questions and concerns are. You can turn that information into some great content. If you follow these tips, you can provide people with information they want to read, helping you generate traffic on a daily basis. From there, you can turn the traffic into leads, and ultimately nurture the leads and move people through the sales funnel.